The organizers would like to thank all participants for making CoLIS 9 a great conference with stimulating presentations and conversations. 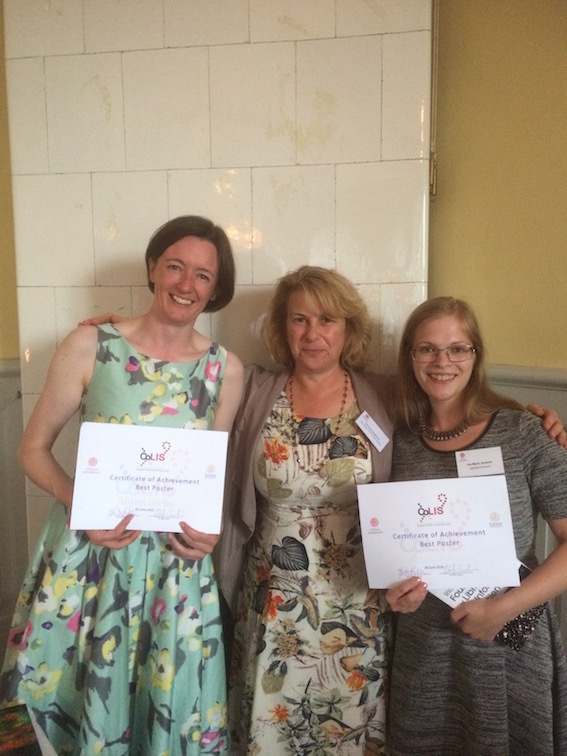 Also, we would like to give a big congratulations to doctoral students Ina-Maria Jansson (Uppsala University) and Alison Hicks (University of Colorado) who won the CoLIS 9 award for best poster. The award was handed out by Dr. Theresa Anderson (University of Technology, Sydney). You can still find the list of participants, the conference folder, the collection of paper and poster abstracts, and the programme from CoLIS 9 online (current version: 2.0). Conceptions of Library and Information Science (CoLIS) is a series of international conferences aiming to provide a broad forum for the exploration and exchange of ideas in the field of Library and Information Science, Information Studies, and related disciplines. It welcomes diverse contributions offering empirical, theoretical and historical perspectives. The 9th conference in the series is organised by the Department of ALM, Uppsala University and the Division of ALM, Lund University and is held in Uppsala, Sweden, in June 27-29, 2016. We invite authors to submit research papers, short papers, panels, workshops, alternative events and posters. The Call for Papers and submission instructions can be found here. We invite doctoral students to participate in a Doctoral Forum held in connection to the CoLIS 9 main conference. The Doctoral Forum will be free of charge and aims to provide a setting where doctoral students can discuss their research projects with invited senior researchers and fellow Ph.D. candidates. The CoLIS 9 Doctoral Forum will take place on June 26, 2016, at the Department of ALM, Uppsala University. The registration to CoLIS 9 is now closed. The conference fee is 2 700 SEK (approx. $295 and €270). Ph.D. student participation is discounted to 2 300 SEK (approx. X $250 and €230). The price for the conference dinner is included in the fee, as is participation in the CoLIS 9 Doctoral Forum for Ph.D. students wanting to attend. Internet access during CoLIS 9 will be available via the Uppsala University eduroam network, accessible to employees of many institutions world-wide. If you are an employee of a participating institution but have yet to configure your devices for eduroam use, please contact your workplace's IT support. If you won't be able to use the eduroam network, please indicate so in the registration form and we will provide alternative means of accessing the Internet. The CoLIS 9 programme is now available (current version: 2.0). Please note that the schedule may be updated, so keep an eye on the CoLIS website and the version number of the programme. The main conference and doctoral workshop events of CoLIS 9 will take place in the English Park Campus, where the Department of ALM is situated. Detailed instructions on how to get to the English Park Campus can be found on the Department of ALM's travel information webpage, including travel by bus, airplane, train, or simply on foot. Please note that timetables and pricing can change, so travellers are encouraged to consult the service providers' websites for the most up-to-date information. 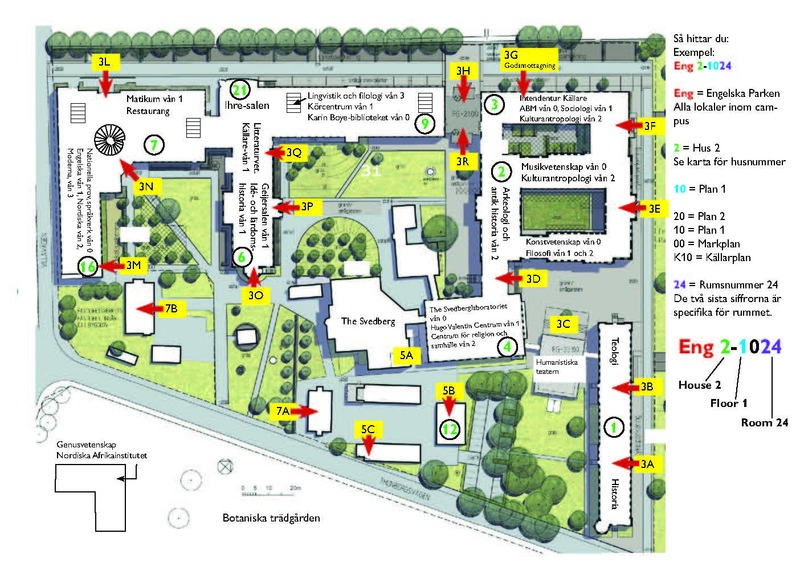 Further, the English Park Campus map is a useful tool for navigating the campus. Find news, query the organizers, and chat with other CoLIS 9-participants via Twitter (#CoLIS9) and the conference Facebook-page. The CoLIS 9 organizing team would like to thank the members of the programme committee and the doctoral workshop senior advisors for their contributions. Questions about the conference should be sent to the conference chair Kerstin Rydbeck (firstname.lastname@abm.uu.se) or the co-chair Olof Sundin (firstname.lastname@kultur.lu.se).